Visit one of the best theme parks in Korea, Everland! Everland, South Korea’s most popular theme park, is located on the outskirts of Seoul in Yongin City, Gyeonggi Province, which takes around 2~3 hours or more from Seoul. If you are visiting Everland theme park for the first time, here are 3 ways to get to the theme park, plus other alternatives to take into consideration when going to Everland from Seoul. Everland theme park offers a shuttle bus transfer service, however, a prior reservation through agency website or phone is required. Otherwise, you can conveniently book the Everland shuttle bus online via Everland’s official partner, Trazy.com. ※Updated: The shuttle bus schedule above is for 2019. For shuttle bus transfer service between Everland and Gangnam area or Suwon, click here. Looking for Everland discount tickets or more deals? For those who want to stay until the night parade or the closing time, check out Private Van Transfer Package or Full Day Package. Last but not least, you can get to Everland by taking the subway and here’s how. Overall, visitors have to make multiple transfers when going to Everland, even when you take the subway, taking up your time and energy. Therefore, taking the shuttle bus can be the most convenient and cost-efficient way to get to Everland from Seoul. Everland is the largest theme park in Korea with over 40 rides and attractions. 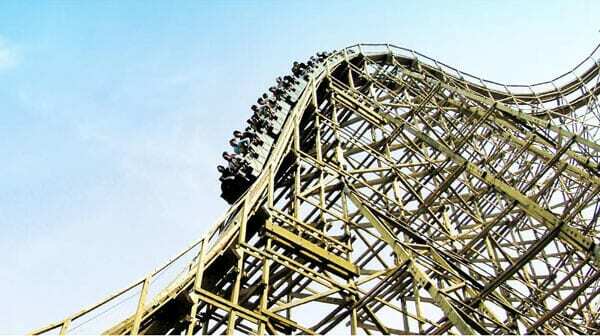 One of the most popular rides at Everland theme park is T Express, the third tallest roller coaster in the world. Everland theme park also offers various seasonal themed festivals throughout the year. Some of the festivals not to be missed are the Tulip Festival and the Rose Festival in spring and the Romantic Illumination Festival, which takes place during winter. Whenever you visit Everland, it has something for you. 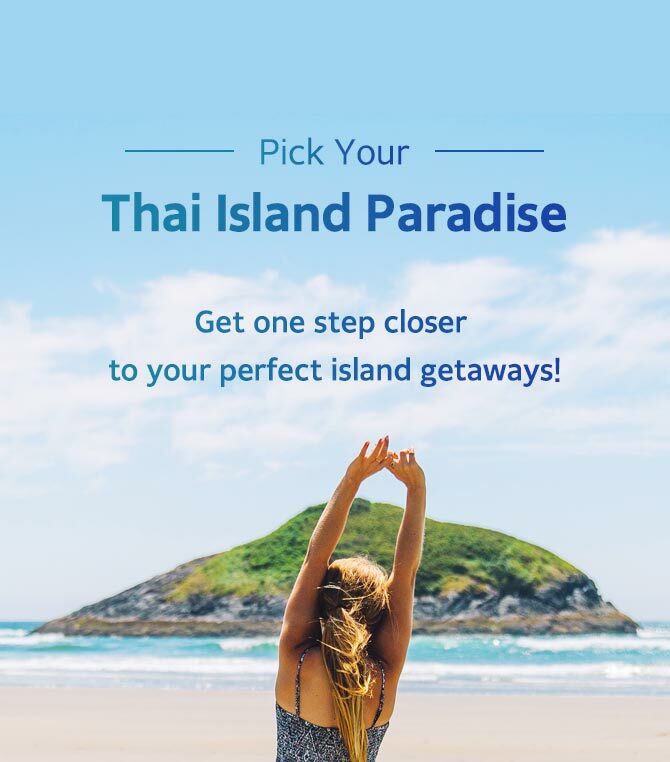 If you want to visit Everland during your trip to Korea, make sure you check out all the Everland deals offered by Korea’s #1 Travel Shop, Trazy.com. Previous Post:Everland Discount Ticket Promotion for Foreigners Only! M trying to book Everland Discount shuttle package for November 2017 for 4 pax , but the ‘choose date’ only for Sept & Oct. Not November. My plan trip from Seoul to Everland with my family is on 24/11/2017. i want to book everland discount shuttle package but my travel date is 10th january 2018 and i’m a little bit confused. is everland still open and operate all the rides during winter season? especially t express? thankyou. Hello Metta! Yes, Everland operates during the winter season and holds Christmas and other festivals but some of the rides, such as T Express, Thunder Falls and Amazon Express, will not operate when the temperatures are lower than 0 degrees Celcius (or 32ºF). At this moment, the exact dates of operation of these rides for upcoming winter season have not been announced yet. You may want to check in Everland’s official website regularly regarding the schedule of the rides during the winter season. Hello, is there a fireworks show in Everland in February? Hello Reina, Everland usually operates fireworks and night parade in February, but the exact schedule for February is not available at this moment. You may want to check the schedule at Everland’s official website regularly before your visit. is there a firework show in November? Hello, may i check, the difference between your ‘Everland Full Day’ package and ‘Everland discount ticket and shuttle bus’ package is that one comes with the english speaking driver, right? Other than that, the rest of the itinerary is the same? – It is 42 USD per person in 2018. – The bus departs from/to Seoul earlier than the other package. – From Jan 2018, the shuttle bus leave Everland at 6:30pm. – You will take a 45-seat bus with Koreans and other foreigners. The driver can barely speak English. – The tickets will be sent to you via email. – It is available to book for every day. – It is 51.80 USD per person. – The bus departs from Seoul later than the other package. – The bus departs from Everland 15 minutes after the park closes. – You will take a van/mini bus/big bus depending on the number of participants and the driver can speak English. – The driver will provide you with the tickets at Everland. – It is available to book from Mon to Fri (~Mar 16) / every day (Mar 17~). Hi! I would like to ask for how much would it cost me to book a day tour in Everland and roundtrip bus transfers from Myeongdong (Hotel Mido to be exact). My family and I will be there on March 18-22. Is my question related to this package below? – It is 39.20 USD per person in 2018. Hello! I would like to check, does the local bus 5002 stop directly at Everland or does it stop somewhere else and I have to transfer? Once you get off at Everland via bus 5002, please take an Everland free shuttle bus right in front of the bus stop. It takes about 4~5 minutes to Everland. Hi, would you know how much will be the fare for bus 5002 from Exit 5 from Gangnam Station? And what is the time for the last trip going back to Gangnam? Thanks a lot in advance. total cost per person is about 5720 won. and your post is about 2600krw. Which statement is correct? Also i have another question, is the bus stop station located in front of “Niko and…” there are people waiting there. I used the reference on google maps only. Last question, is the label on the bus No. 5002? is that bus going to Everland? It seems your price includes the public transportation fee from Jongno 3-ga station to Gangnam station. The fare of 2,600 KRW is for the bus #5002 itself departing from Gangnam. And, yes, you can take the bus #5002 at the bus stop located in front of ‘Niko and…’ to go to Everland (9 stops, approx 1hr5min~). I have 1 more question. I have a 2 year old baby with me. Does the baby have to be paid in the bus and at the Everland? Hi. How to go by bus from everland to seoul? I want to leave everland early around 4pm. What are my options to go back to seoul or myeongdong? My son is 5 years old, means I need to pay full ticket. Any discounted ticket available for child ? For this year, the discounted ticket price for both adult and child are the same, which is about 40% discounted from the regular price for an adult and 25% discounted from the regular price for a child. I was wondering if there are a lot of bus 5002 or are there any time schedules? Hello Joanne, the 5002 bus is at every 15~20 minutes every day 🙂 So please feel free to take the bus at your preferred time. Hi, I will be going to seoul on 17th Oct to 27 Oct 2018. I would like to know more of the packages that include round trip shutter bus and the prices. Please share with me the link to book too! Please check out the link below for Everland Ticket & Shuttle Bus package! hello if im go to everland december what can i see in the night? can i see christmas tee or Magic In the Sky or firework? 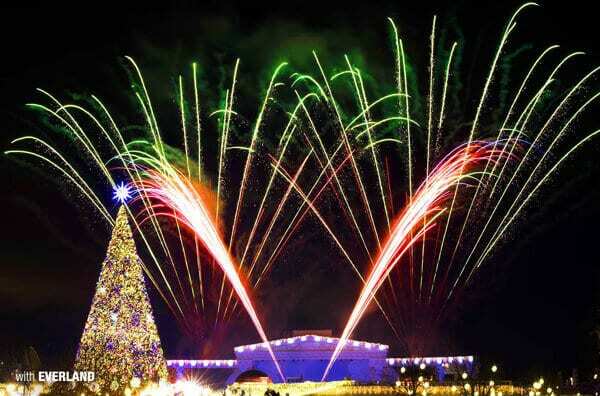 Yes, you can see various Christmas decorations and firework in the winter season. However, please be noted that the fireworks may be canceled due to weather conditions or Everland’s internal issues. Please check the exact information with the staff on the day. Hi, I want to book the Everland + Bus package for November 2018. I am not sure whether I should take the Everland Full Day Package or Everland + Shuttle bus package. I will not know if I need to choose the late return as I am not sure what Everland has to offer in the evening in November (this is my first time going). I am going to stay in a hotel near to Seoul Station – which package is more suitable for me? Please kindly advise, thank you. In case of Everland Full day Package, the pickup locations are Hongik Univ.Station, Myeongdong Station and Dongdaemun H&C Station. If you would like to be picked up from Seoul station, Everland + Shuttle bus package seems more suitable for you. This package offers you to choose from 6:30pm or 9:30pm as a departing time from Everland. May i ask where will the bus be located at Hongik Univ Station. It is stated Line 2 but is there a specific logo to look out for or any strategic landscape. Its our first time there and i am worried we are late for the bus and miss the bus! Already purchased the shuttle bus ticket. Would like to check the rate for the package with transfer. The timing pick up from Myeongdong station. Also what is picking up timing from Everland. The price is 35.90 USD per person including round-trip shuttle bus transfer and Everland one day pass. The departure time from Everland is 6:30pm. Please check out the link below for more information and don’t hesitate to contact us at ‘inquiry@trazy.com’ for any further questions! hi, what will be the cost to move from ICN airport to Thesoom Forest hotel near Everland and to Everland? 2 Adults and 2 kids.